1. Determine if "cold crime" investigations, especially of violent crimes, conducted by specially trained personnel should be augmented with additional resources and personnel within the Department of Public Safety. 2. Review information-sharing between law enforcement agencies, mental health professionals, and mental health agencies about individuals, both adults and juveniles, who are identified or considered a risk to the public's safety and whether additional cooperative efforts are needed. The Committee also shall recommend how best to conduct a comprehensive review of the relationship between mental health and the criminal justice system to assure that the criminal justice system does not become the alternative placement for such individuals. 3. Review current statutes pertaining to the expunction of criminal records to determine if criminal records should be maintained with separate access by persons or entities that are not considered law enforcement from those persons or entities that are considered law enforcement. The Committee shall also ensure that personal privacy rights are adequately protected with respect to information maintained by the Department of Public Safety, other state agencies that maintain criminal records for public access, and local law enforcement. The Committee shall also consider other issues and procedures related to expunction. 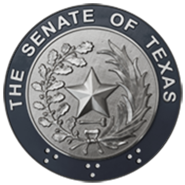 4. Review the need for legal procedures and programs for children under the age of 10 who commit violent crimes so that they may receive necessary treatment and sanctions as part of the juvenile justice system (except for placement in the Texas Youth Commission) or a newly-created separate system. The Committee shall consider whether a system, similar to the adult certification process for certain juvenile offenders, should be established that would certify a person under 10 years of age into the juvenile justice system. 5. Review the statutory purpose of all adult and juvenile correctional facilities, whether state, locally or privately owned or operated, to recommend any needed changes in the statutory description or purpose. The review shall include facilities that are considered alternatives to incarceration or that are used for geriatric care. The Committee shall consider whether state jails are adequately managed, if adequate sanctions are available for confinees who fail to participate in programming or who cause disciplinary problems, and how to ensure effective rehabilitation programs in facilities. 6. Review reintegration programs for juvenile and adult parolees and their families upon release to determine if strategies and coordination between state, local, public and private entities are effective. The committee shall make recommendations to reduce recidivism. 7. Review the Interstate Probation and Parole Compact proposed through the National Institute of Corrections, which is scheduled for release in December 1999. The Committee shall make a recommendation as to whether Texas should enter into the compact, considering the fiscal impact the compact may have on state, private, and local entities. 8. The Committee shall review efforts by the Commission on Jail Standards, the Juvenile Probation Commission, and the Youth Commission to monitor compliance with statutes and regulations designed to ensure the safety of security personnel and offenders. The Committee shall determine if current compliance measures and monitoring are adequate. Also a review of employment standards and adequate background checks shall be conducted to ensure safe operations of facilities and programs. The Committee also may consider methods used to employ and retain effective security personnel in adult and juvenile facilities operated by the Department of Criminal Justice and the Youth Commission. 9. Evaluate the collection efforts for criminal fines, fees, and costs imposed by courts to determine how collection efforts may be enhanced, including incentives to increase collections. The Committee shall determine what fees may be imposed on offenders and which entities are entitled to a portion of the collected fees. 10. Monitor correctional capacity needs of adult and juvenile facilities. 11. Monitor the implementation of the following bills enacted during the 76th Legislature, Regular Session: SB 8 relating to the compilation of criminal information pertaining to criminal street gangs and criminal combinations; SB 352 relating to requirements for membership on or employment by the Board of Pardons and Paroles; SB 365 relating to the continuation and the functions of the Texas Department of Criminal Justice, the administration of the Private Sector Prison Industries Oversight Authority, the administration of the Texas Council on Offenders with Mental Impairments, and the civil commitment of sexually violent predators; SB 370 relating to the continuation and functions of the Department of Public Safety; SB 371 relating to the continuation and functions of the Correctional Managed Health Care Advisory Committee; and HB 2617 relating to the continuation of the Texas Board of Private Investigators and Private Security Agencies as the Texas Commission on Private Security, to the functions performed by that agency, and to certain powers of political subdivisions relating to alarm systems.